The Appeal of Visual Surrealism – arts, ink. Have you ever seen a work of art that looked like it came from another dimension? As if it was a fragment of your worst forgotten nightmare? Most likely it is a surrealist work of art. 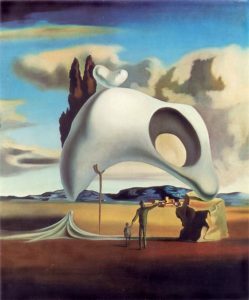 The Surrealism movement began around the 1920s, and culminated with famous artists such as Salvador Dali, Max Ernst, and Rene Magritte, just to name a few. If you don’t recognize those names, I guarantee you aren’t the only one. 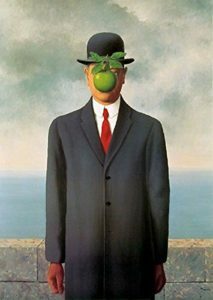 Although Surrealism was a significant movement in the art world, it has remained relatively fringe to pop culture. Its avant-garde style is not as palatable as other art, and as a result, it takes a certain curiosity and taste to explore. However, it is by far my favorite art movement; not only has it produced some of the most visceral and intriguing works of art, it also evokes an entirely unique feeling in the viewer. Imagine being a kid again, playing hide and seek with friends. You’re in a small cupboard, the perfect hiding place. You hear the seeker count down, and eventually they shout “Ready or not, here I come!” You can’t help but laugh on the inside: thinking about how they’ll never find you, and how impressed they’ll be when you win. Gradually, however, the darkness of the cupboard intensifies, until it’s as black as oblivion; a dark, empty void. You have no sense of time; it has wandered into the darkness and gotten lost. Has it been seconds or minutes? Maybe even hours? You can’t hear anything; no voices, nobody wondering where you are. The claustrophobia starts to set in as the cupboard shrinks. It’s hard to breathe, there’s not enough air. They’ve forgotten about you, they’ve stopped looking hours ago. Panic and anxiety run through you like electricity, you can’t stand it anymore: you have to get out. You burst out of the cupboard and take in a breath, like a drowning man breaking the surface. You hear voices coming towards you and suddenly your friends are there. They can’t believe you hid in there; they say they never would have found you. You won, but you can hardly enjoy it. 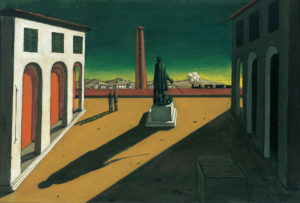 For me, surrealist art evokes that same feeling. A mixture of anxiety and some primal fear of the unknown, just like being in a dark, claustrophobic cupboard. I think this feeling comes from the unusual color palettes that surrealist works share, the strange juxtapositions and oddities that defy reality, and some third thing that can’t be explained, but is linked to the unexplored subconscious of the viewer. Surrealism is based on the concept of the dormant subconscious, and surrealist artists attempt to explore it through art; the result is a small glimpse into the bizarre and sinister underworld of our minds. Salvador Dali was especially known for his unique method in conjuring strange images. He would often sit in a chair and begin to fall asleep while holding a metal spoon. Right when he fell asleep, the spoon would drop from his hand and startle him awake. He would then paint the surreal images he had seen before slipping into unconsciousness. When looking at his works, I often feel like I’m in a waking dream: nothing quite makes sense and everything is a little off. It’s like waking up from a vivid dream that you can’t remember, and then realizing you’re still dreaming. You jolt awake, and you can’t stop wondering if you’re actually awake this time, or if you’re still dreaming.